The Ohio Citizens for the Arts is pleased to present the findings of a commissioned study (PDF) developed in conjunction with the Center for Regional Development and Bowling Green State University that explores the true power and impact of Ohio’s creative industries. The results prove that Ohio’s creative industries are much more than regional amenities. In short, they are powerful economic engines. The arts in Ohio have experienced significant growth in the past few years and now account for more than $41 billion in economic activity while supporting nearly 290,000 jobs annually. Additionally, and every one of the of creative categories featured in the report has experienced an increase in output since 2015. The report, while focused in particular on Ohio’s six metropolitan areas (Cleveland, Columbus, Cincinnati, Toledo, Akron, Youngstown), also suggests that the economic impact of creative industries was not limited to just urban areas. 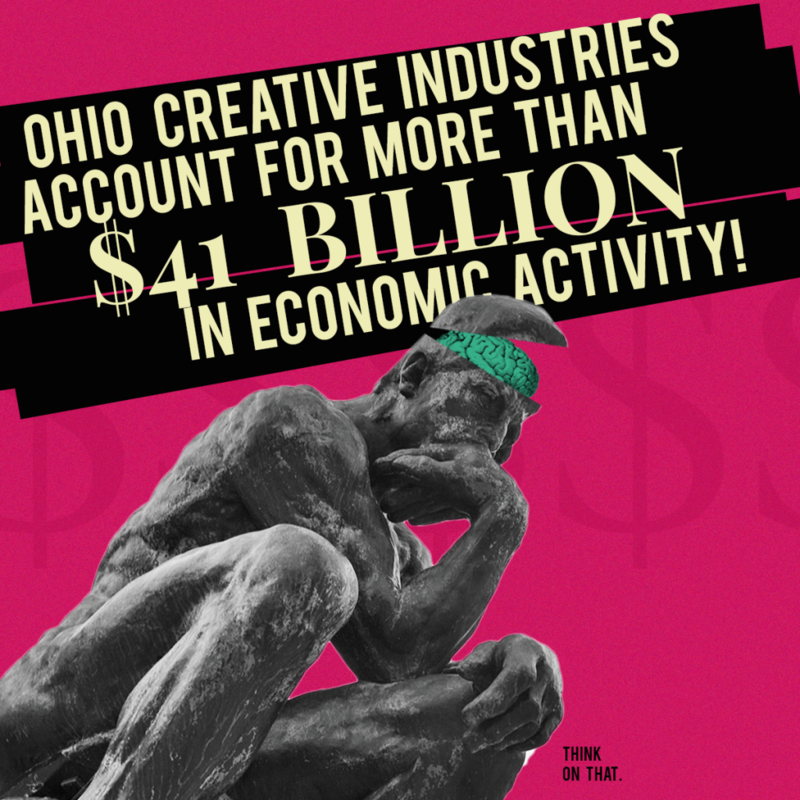 While seventy percent of the creative industries’ impact was located in those six metropolitan areas, additional Ohio municipalities make up nearly thirty percent of the creative economy with more than $12 billion in annual activity. This defies popular perception that creative activity is primarily an urban phenomenon. The creative economy generates $6.1 billion in the Cincinnati MSA (metropolitan statistical area) (PDF). It supports 38,659 jobs and supplies more than $2 billion in wages and proprietor income. Advertising and public relations lead the creative industries. The sector is responsible for $996 million dollars and supports 4,534 jobs in the Cincinnati MSA. To download the full report or a quick stats summary, visit artsimpactohio.org.